Staying Healthy With The Seasons. We need to incorporate nature's cycles with our own cycles. I want to encourage you to prepare for the change of season by planning your cleanse and detoxification program. The seasonal cycle is really the most important in regard to natural detoxification periods. If we can harmonize with these, we can do much to stay healthy. The seasonal changes are the key stress times in nature and the times where we most need to lighten up our outer demands and consumptions and turn more within to listen to our inner world that mirrors the natural cycles. Autumn is the key time for detoxification. At least a one- to two-week program is suggested at these times. In autumn we may dine on other harvests, such as apples or grapes, and the many vegetables. * Grape fast--whole and juiced--grapes, all fresh. * Apple and lemon juice together, diluted. * Fresh fruits and vegetables, raw and cooked. 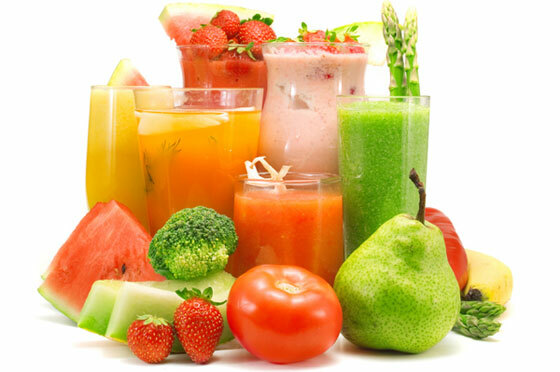 * Fruit and vegetable juices--fruit in the morning, vegetables in the afternoon. * Juices plus spirulina, algae, or other green chlorophyll powders. * Whole grains, cooked squashes and other vegetables (a lighter detox). * Mixture of the above plans. * Basic low-toxicity diet with herbal program. * Colon detox with fiber (psyllium, pectin, and so on) along with enemas or colonics. * Preparing and planning new autumn diet, enhancing positive dietary habits. It would not be appropriate for those with deficiency problems such as extreme fatigue, underweight people, those who experience coldness, or those with heart weakness. There are even more contraindications for fasting, which releases more toxins than this program does. Releasing too much toxicity can make many sick people sicker; if that happens, they will need to increase fluids and eat again until they feel better. People with cancer need to be very careful about how they detoxify. Prior to or just after surgery is not a good time to detoxify, but after healing, say about four to six weeks later. Pregnant or lactating women should not do any heavy detoxification, though they can usually handle mild programs. 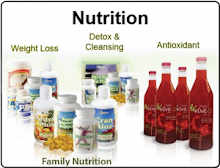 CLICK HERE: For more information on Wellness Products distributed by Robin Downes. Cran-Aloe is a smooth, refreshing, healthy drink, a combination of Aloe Vera and Cranberry Juice, and contains natural antioxidants. One glass of Cran-Aloe contains an equivalent amount of antioxidants as a plate of fruit and vegetables. * Helps accelerate the production of calcium and phosphorous in bone fractures. Serving Suggestion: Mix 2 tablespoons with 7 oz. of water or juice. Can be taken before, during, or after meals. 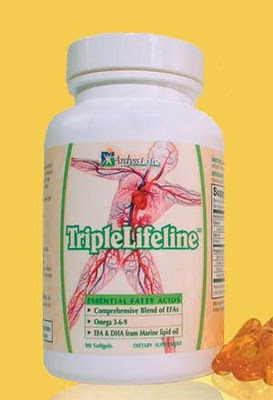 Price: $42.00 plus S & H.
Take 2 capsules after meals; four daily maximum. Serving Suggestion: Take 2 capsules after meals; four daily maximum. Omega 3-6-9 fatty acids represent the most elemental nutrients in our bodies. They are necessary for the production of each cell. It is very important for you to supplement them daily to improve your overall health. * Burn body fat, lose weight by increasing your metabolism. * Improves depression, PMS, hot flashes (especially when taken with Coral Calcium). * Improves immune system and overall functioning of your body. Price: $40.00 plus S & H.
Designed to address some common digestive complaints like indigestion, acid reflux, gas and bloating, and to support healthier digestive functions. * It's digestive enzymes help break down food particles into nutrients the body can absorb. 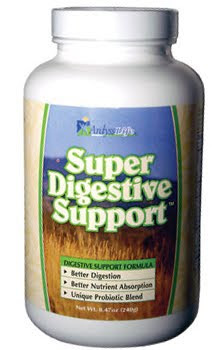 Super Digestive Support's probiotic blend includes "good" bacteria, a total of 50 million CFU of the Lactobacillus Acidophilus, Lactobacillus Salivarius, Bifido-bacterium bifidum, and Lactobacillus bulagaricus. Serving Suggestion: Mix 1 tablespoon in 8 oz. water or juice before or after meals. Price $32.00 plus S & H.
a perfect time for your cleansing and detoxification program. 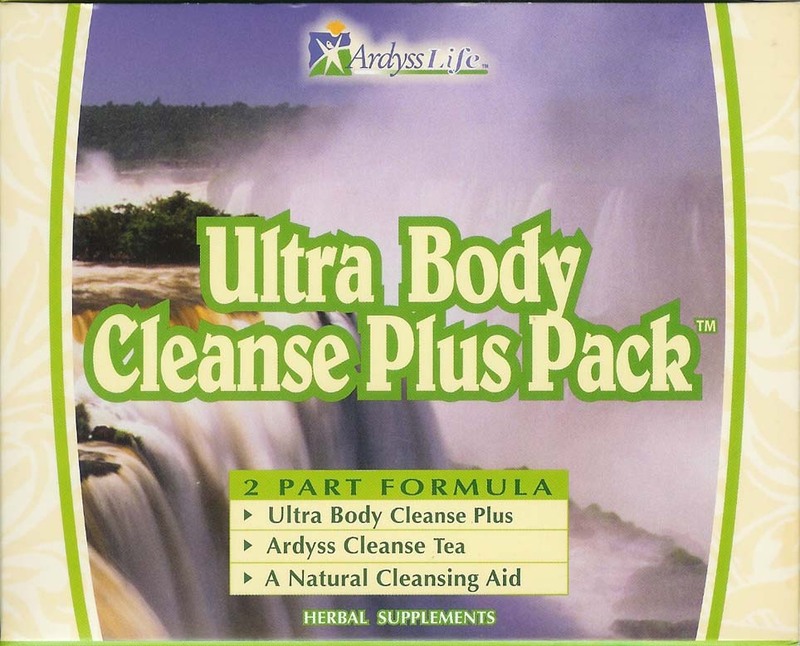 Ultrabody Cleanser Plus Pack is excellent colon cleansing and detoxification program consists of two parts, a tablet and a tea. Ultra Body Cleanser Plus tablet is a basic, yet powerful tool in preventative care. This proprietary blend of natural herbs, probiotics and enzymes provides and supports the cleansing of organs and other channels of elimination. Within 7-10 days you will experience a significant increase in the volume of the evacuations that the body eliminates. As the second part of the Ultra Body Cleanser Plus pack, the Ardyss Cleansing Tea helps purify the body and promotes overall health. The tea consists of natural herbs specially selected for their ability to contribute to the cleansing of the five primary organs of elimination: liver, kidneys, lungs, internal, and skin. and contains no caffeine. It's formula is enriched with Lactobacillus acidophilus and Lactobacillus bifidus, and digestive enzymes such as amylase, proteases, lipase, cellulase and lactase. These are known to assist the digestive system by helping with the complete and correct absorption of foods and residual toxin elimination. Try this wonderful body detoxifying program today! After your last meal of the day, and just before you go to bed, do the following: Pour boiling water into a cup over the tea bag. Let it steep for 3 to 5 minutes. Drink the tea warm. Increase the steeping time gradually for added strength. Not for long term use. Use for 14 days and start again after three months. Summarizing, take 1 or 2 tablets in the morning, and drink the tea after dinner, both followed by at least 1 glass of water. For sensitive stomachs, take only 1/2 tablet per day, and, for all, do not exceed 14 days. It is important not to prolong the treatment; stop using it for 3 months before doing another de-tox program. 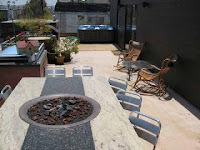 Retail Price: $50.00 plus S & H.
Sept. 24-26 LA Beach House Retreat / Spa / Yoga / Pilates - Autumn Equinox Weekend Getaway! This immersion weekend is a wonderful opportunity to get into vibrational alignment as you enter the Fall season of new growth and rebirth. Our primary goal is to open our hearts and minds to new possibilities for self-growth and positive direction in our lives. All participants will be guided in creating a personal plan to bring home and integrate into their lifestyle. Get ahead with your game plan for 2011. Yogic wisdom recommends working with the body's natural sensual shifts that occur at the juncture of seasons. 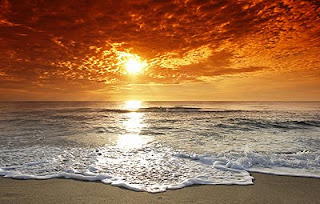 During this Autumn Equinox weekend, we will learn tools to clear out excesses and toxins accumulated over the summer. It will include yoga, meditation, self-reflection, and healthy cooking classes. This includes a cleansing diet, and a de-toxifying spa treatment. Robin Downes' Yoga Flava – Robin Downes has been a certified and insured Hatha Yoga Instructor since 1996. We will customize your accomodations. The Beach House Penthouse can accommodate up to 16 people. There are King Size Beds, Double Beds, pull out beds all over the house. 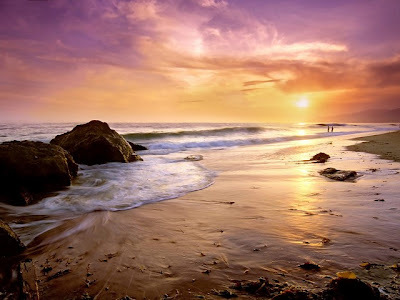 Your guides, Robin Downes and Cheryl Stone invite you to connect with mother nature for an invigorating walk and talk along the Marina Del Rey, California ocean front. We will practice breathing excercises and proper body alignment. Walk into your power and maintain a strong core. 1:00 pm - 3pm Spa treatment, private yoga class or free time.